… clinging valiantly to the mountainside or huddling in the hollow of a valley, the region's villages bask in the sun in some stunning locations. Today, these unspoilt settlements of medieval origin keep their traditions alive and well. THE NARROW STREETS lined with stone-roofed houses reflect the harshness of their mountain surroundings, their flower-decked balconies reflected in the lazy river below. Here, life is sweet. A CARVED FACADE, an ancient doorway, a bas relief, the retable in a tiny chapel: all these tell of this region's past, its religion, people, history and legends. THEY ARE DELIGHTFULLY APPEALING, the villages of the Ardèche, and their charm is plain to see. Forty villages of character have decided to smarten up their heritage even more, while making them more accessible to everyone. Nineteen of them have already come together to sign a quality charter to provide a better welcome for visitors, inviting them to discover their traditions and savoir-faire. The others will join them in due course. Quiet, shaded campsite on the banks of the river, 2 minutes' walk from the village of Joyeuse. 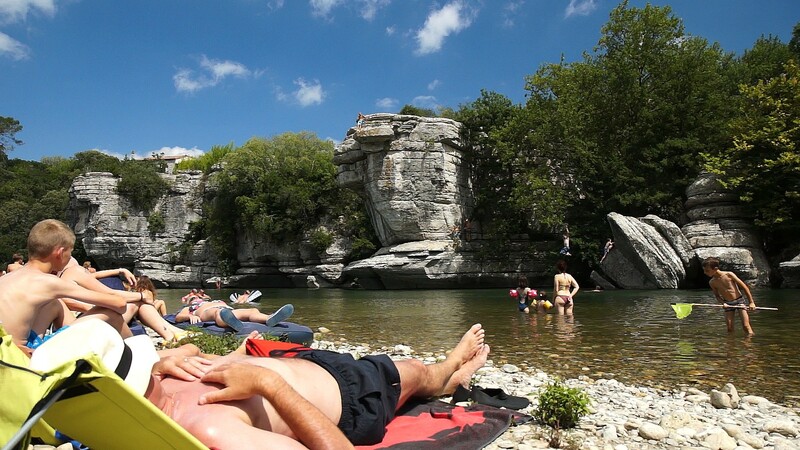 100% outdoors campsite in the Ardèche Gorges nature reserve on the river banks. Only tents and a few equipped vans. Food served all day. Family-friendly campsite. 300m from the shops. Ardèche canoe trips. L'Oasis des Garrigues lies in unspoiled countryside close to a village with personality. Have a break where you can simply take time off and enjoy yourself. Canoe hire. 200m from river, not liable to flooding. 22km from Pont d'Arc Cave. This campsite south of Aubenas has a variety of accommodation: bungalows, chalets, mobile homes and 2 gypsy caravans! Shops in Aubenas (approx. 2km). 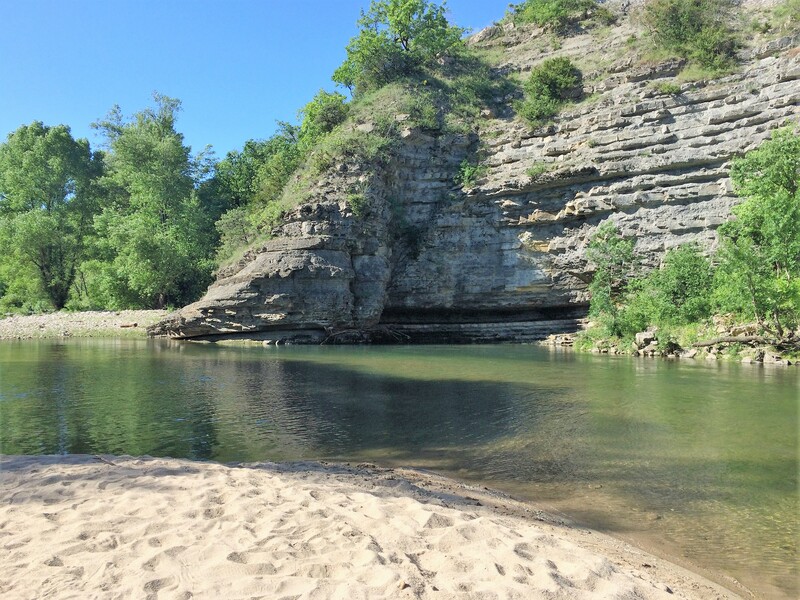 Camping as it should be: family-friendly in a natural riverside setting with a pool and catering options. Family-friendly, shaded and flat campsite with direct access to the Ardèche River, ideal for anglers. On the edge of Aubenas, near to shops and major tourist sites. Family-friendly campsite on the stunning Défilé de Ruoms road. Home to bungalows, mobile homes, huts and bamboo chalets. Fully equipped. No camping pitches. Shaded family campsite by the river with restaurant, entertainment, spa, Wi-Fi etc. Premium and classic mobile homes, gypsy caravans, yurts, teepees etc. Beach, supermarket and shops nearby. Near spas and tourist sites. "La dolce vita on the banks of the Ardèche". Family-friendly campsite 300m from the Baume beaches. Canoe hire. 2km from Ruoms.